Crafted in India in the early 20th Century, this table features beautiful carved peacock sculptures, and a profusion of inlaid ivory decoration. The rosewood table stands on a single shaped stem, set on a triform base. 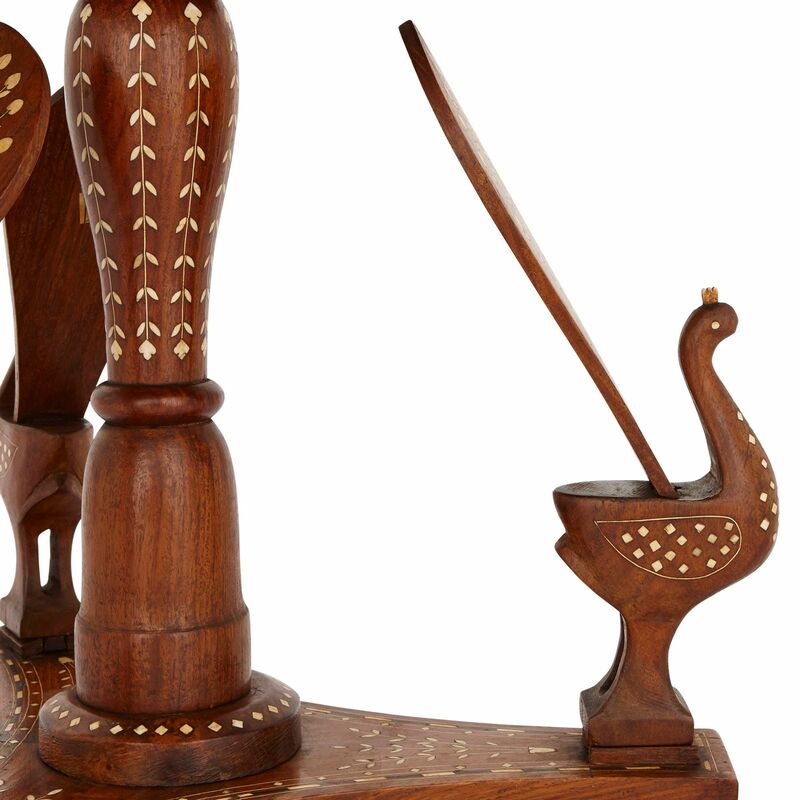 This base is decorated with peacock sculptures, their eyes and feathers depicted in inlaid ivory. 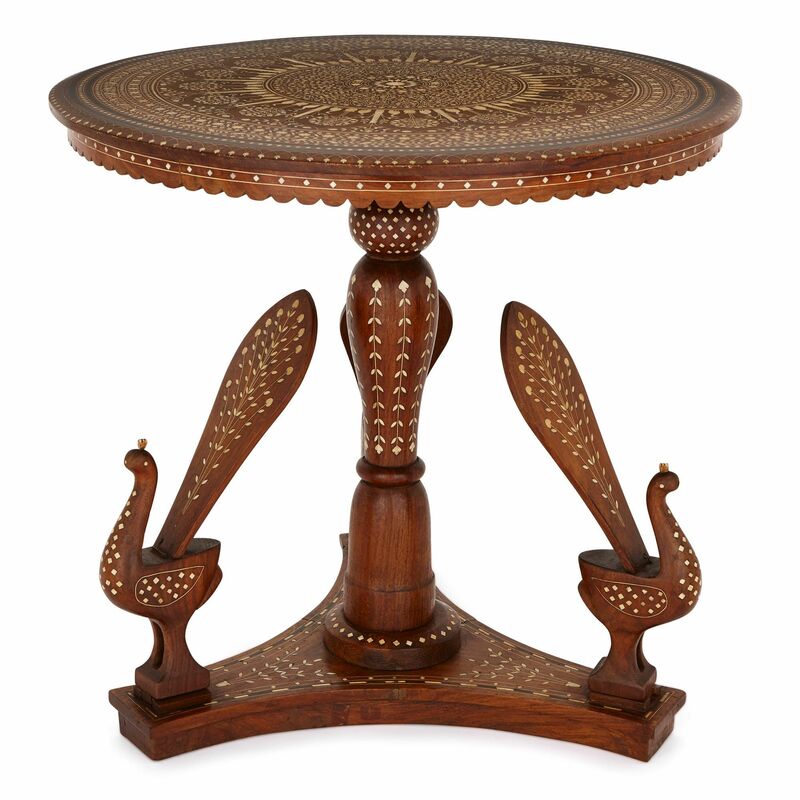 The table’s base and stem are finely decorated with inlaid ivory geometric designs and foliate motifs. The stem supports a large circular table top with a frilled edge. 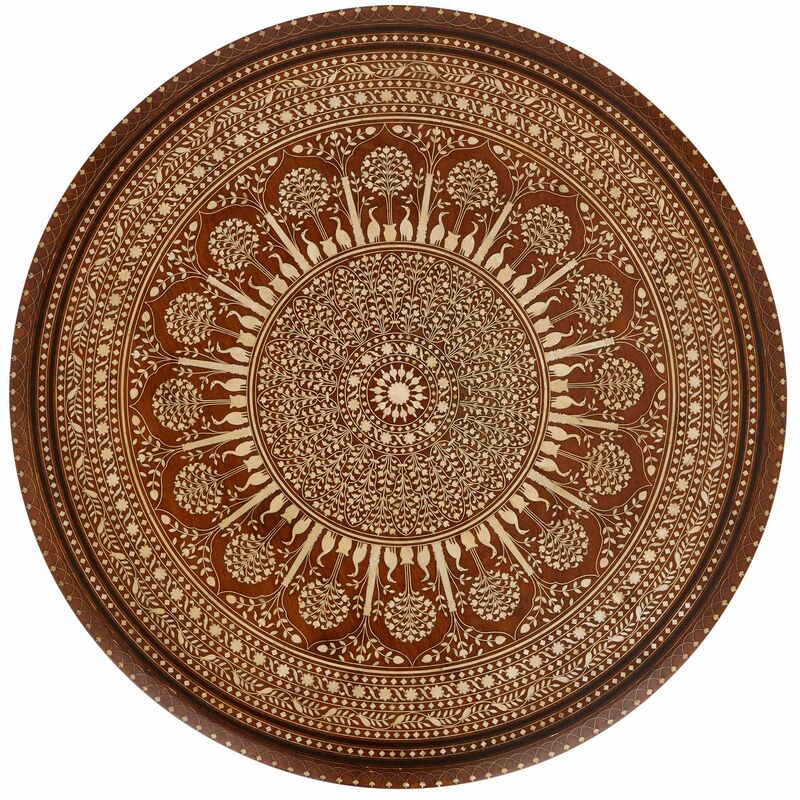 This is covered with fine ivory inlaid work, depicting stylised vegetal patterns, floral motifs and geometric forms, as well as birds and fruit trees. 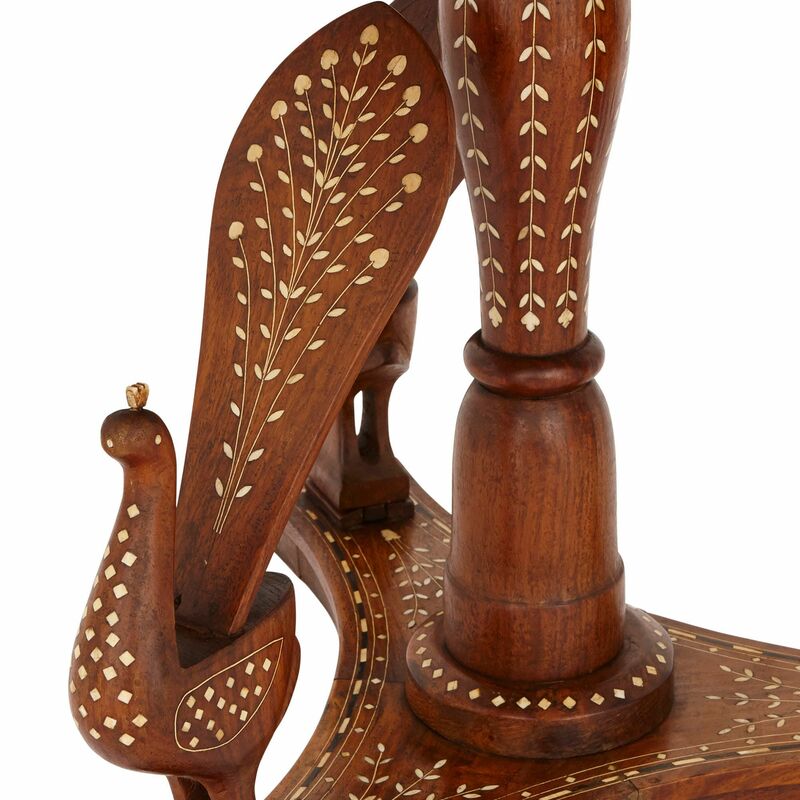 This Indian table is a beautiful item, which is over 100 years old. 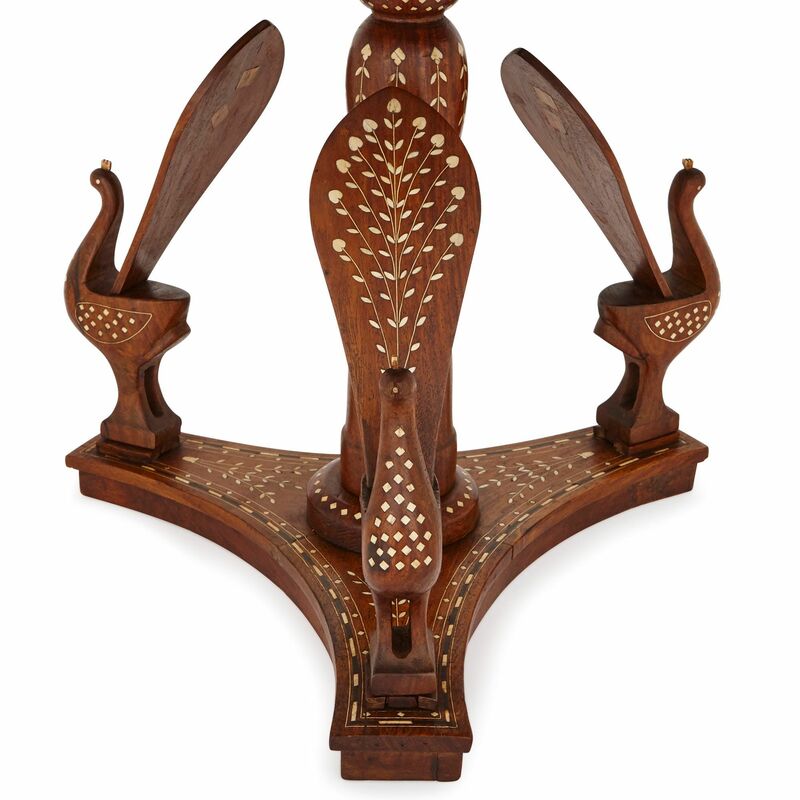 It demonstrates the very best of early 20th Century furniture production in India.